It has been about six months since the trailer was out of the storage lot, so we decided to take it out close to Houston. High Island is one of the top birding spots in the USA this time of the year. 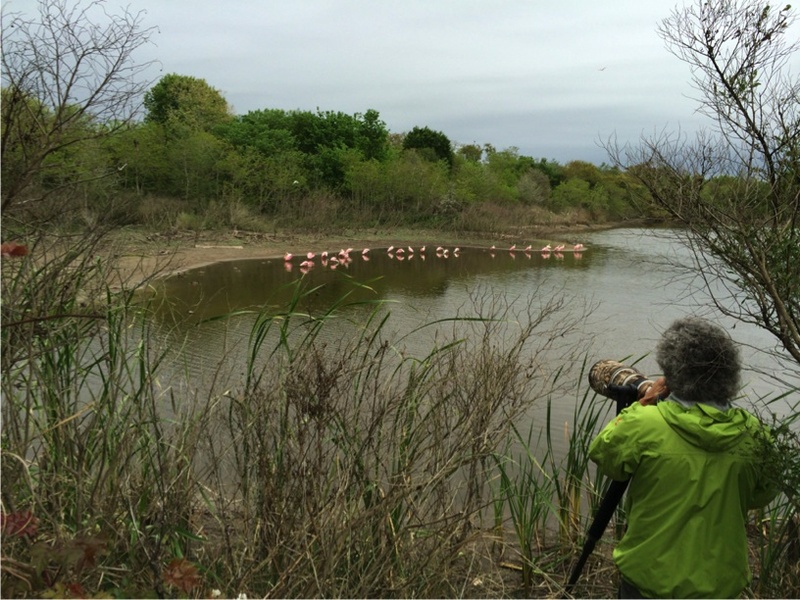 In the springtime, as migrating birds fly the 600 miles across the Gulf of Mexico from the Yucatan Peninsula, they first encounter land along the Texas coast, and it is frequently High Island. We decided to see if we could add some new birds to our lifetime list, and fortunately, with the help of experts on hand, we were successful. The weather was OK, not perfect, but we were able to accomplish everything we planned to do. It is amazing how, as close as you are to Houston there, how far away you are in the pace of life. It is as if you were a 1000 miles away. We hope you enjoy our brief story and photos. [Friday] April 4th, as we left home, we made a quick stop at Kroger and then traveled on TX-99, US-59, IH-10 and TX-124 to High Island. 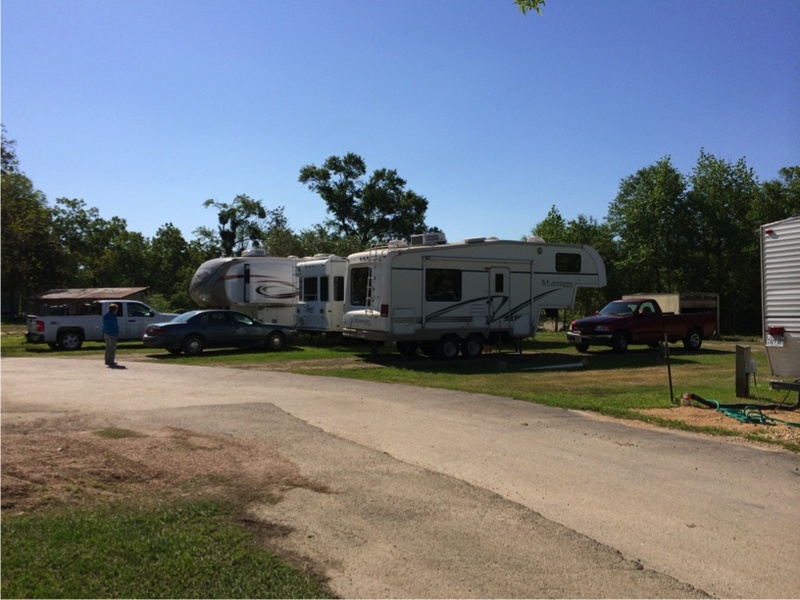 We made our home at High Island RV Park, site #24. After getting set up in the park, we drove around High Island and out to the beach. < Our camping spot in High Island. < The Gulf of Mexico beach. 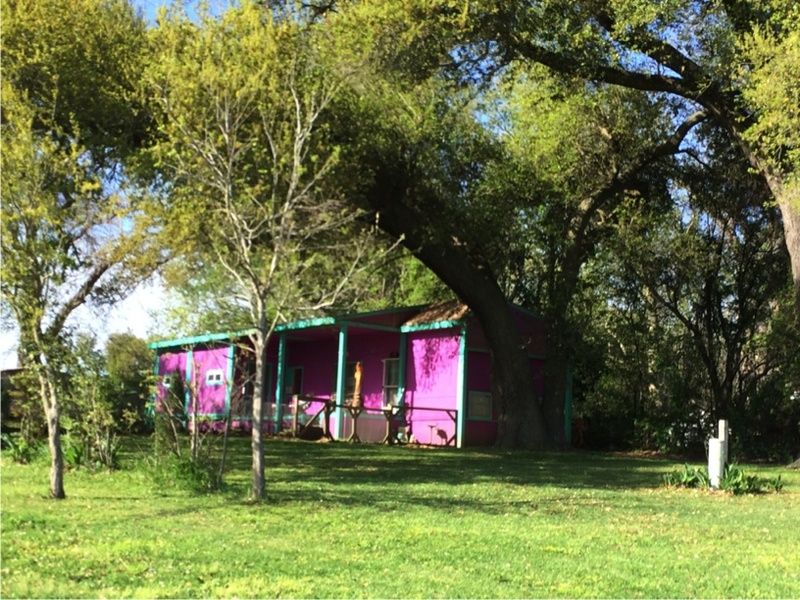 < Some of the homes are colorful. < The bird houses are unique. 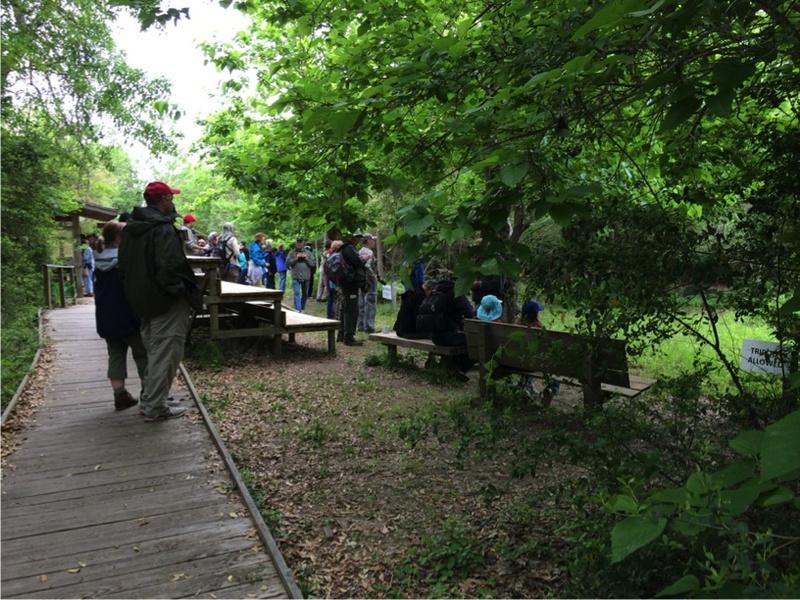 [Saturday] After breakfast we drove the short block to the entrance of Boy Scouts Woods, one of about five Houston Audubon Society Bird Sanctuaries. The sanctuary has a viewing stand with water pond in the woods to attract the migrating birds. 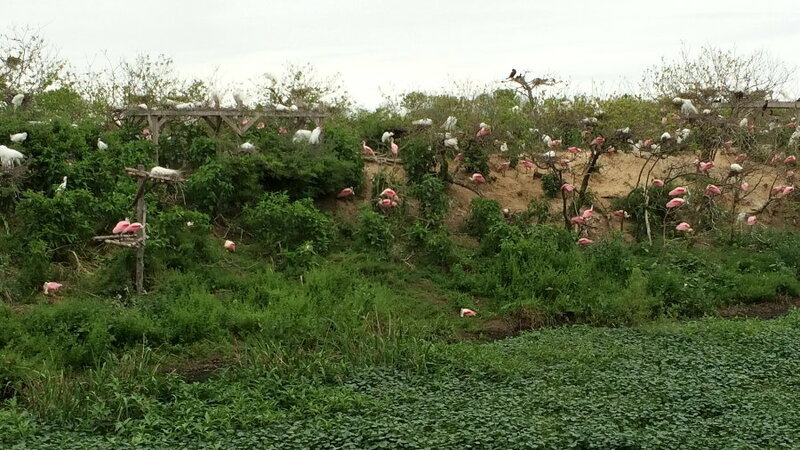 There was a large crowd of birders with their binoculars and expensive telephoto cameras on hand when we arrived. With the help of the experts that were there, we added a few new birds to our lifetime list. Some of the colorful birds we saw were: Kentucky Warbler, Hooded Warbler, Blue-winged Warbler, Northern Parula and Louisiana Waterthrush. < < Boy Scout Woods Sanctuary. 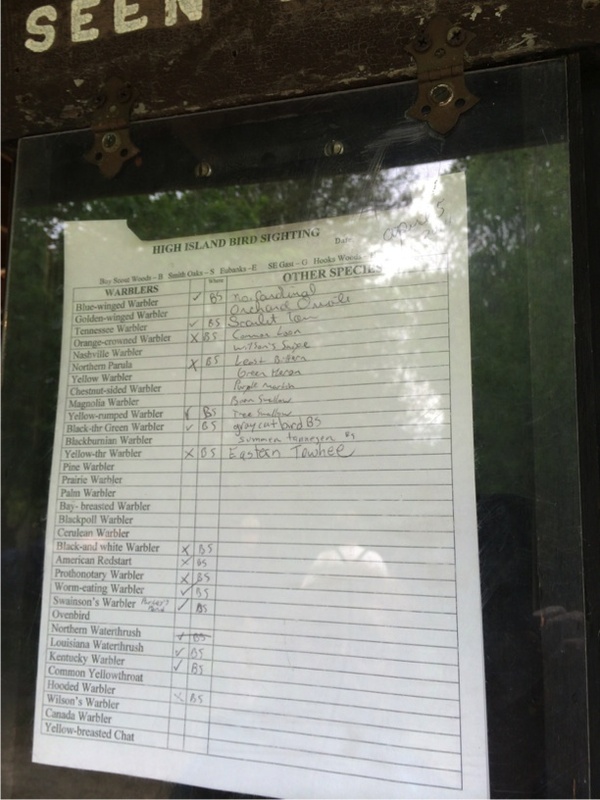 < The birding list at Boy Scout Woods. 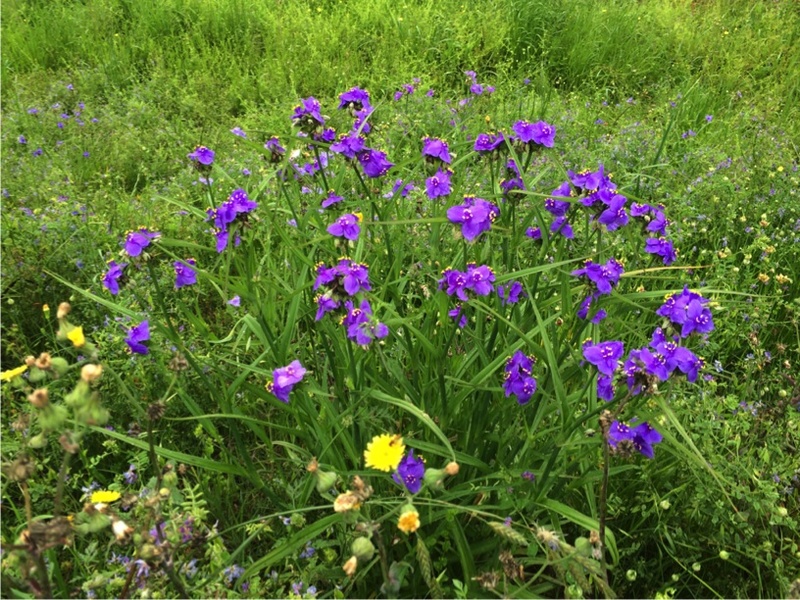 In the afternoon, we drove about a half mile to the Smith Oaks Sanctuary. One of the main attractions at Smith Oaks is the Rookery. 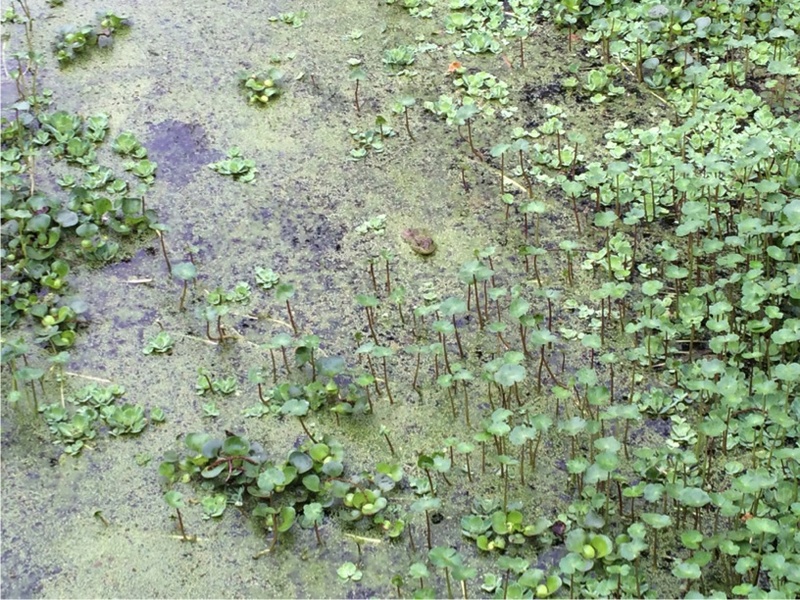 All the large waterbirds were building nests on the small island in a lake. The Audubon Society has excellent viewing stands along the bank of the lake to make viewing at a close distance possible for a large audience of birders. The number of birds nesting is impossible to count. The activity is constant. < < The Rookery at Smith Oaks Sanctuary. 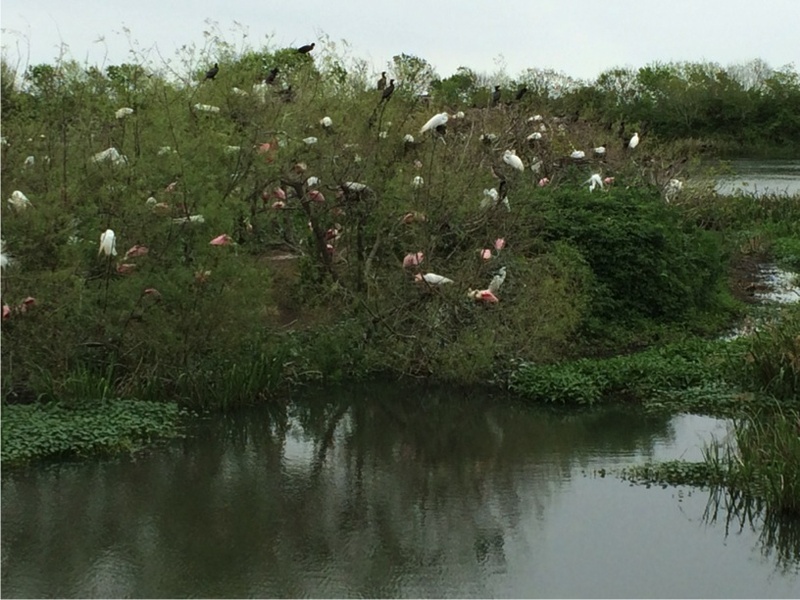 < Immature Roseate Spoonbill gather across the lake. 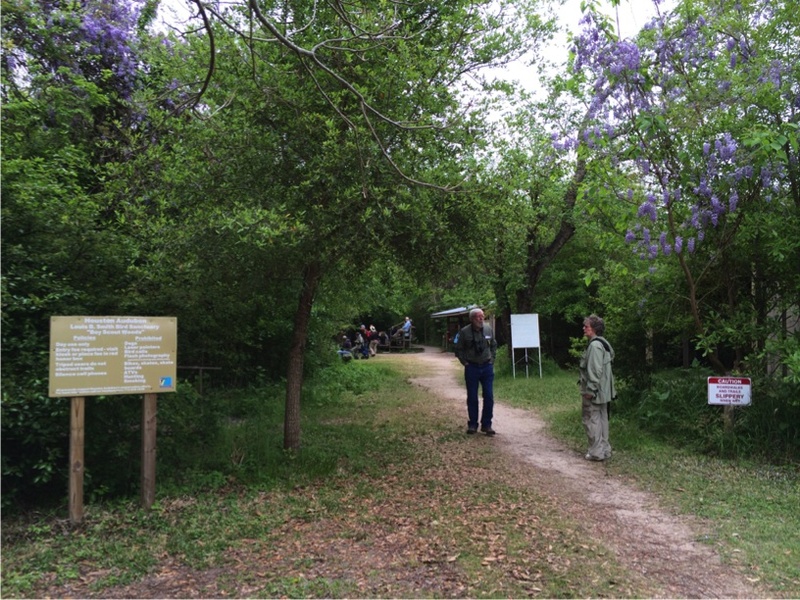 We learned that the Audubon Society was giving a free birding walk at Smith Oaks at 4 PM, so we arranged our visit to meet in the parking lot at the appointed time. The two guides were professional bird guides that work for a company named Tropical Birding. They arrange birding tours all over the world, to exotic places such as Africa and Asia, to see rare birds and animals. These guys (one from Canada and the other from Equador) were amazing. 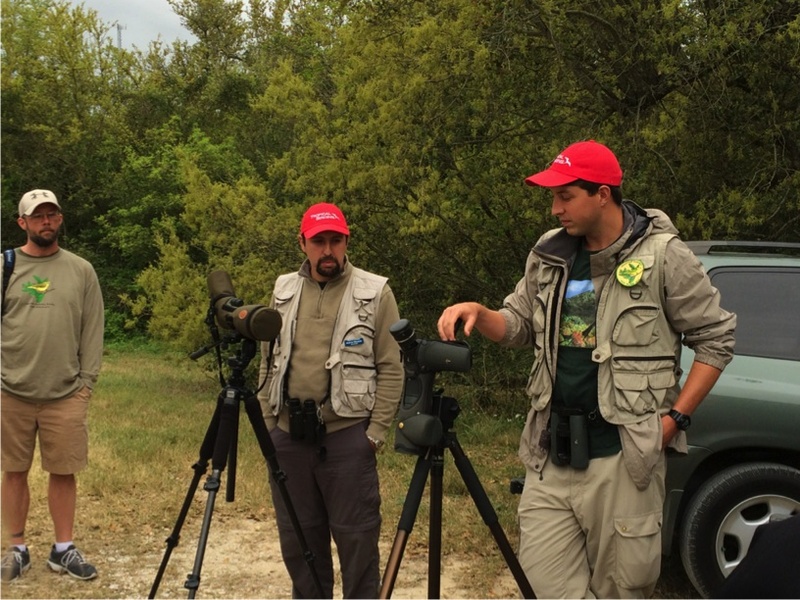 They could identify birds with no apparent effort. We were impressed. < < Our professional bird guides. [Sunday] In the morning after breakfast, we went back to Boy Scout Woods and looked around. It was foggy and misty rain - not a very good day for birds. We didn't see many birds. After returning to the trailer, we listened to the Second Baptist Church service on KHCB radio. 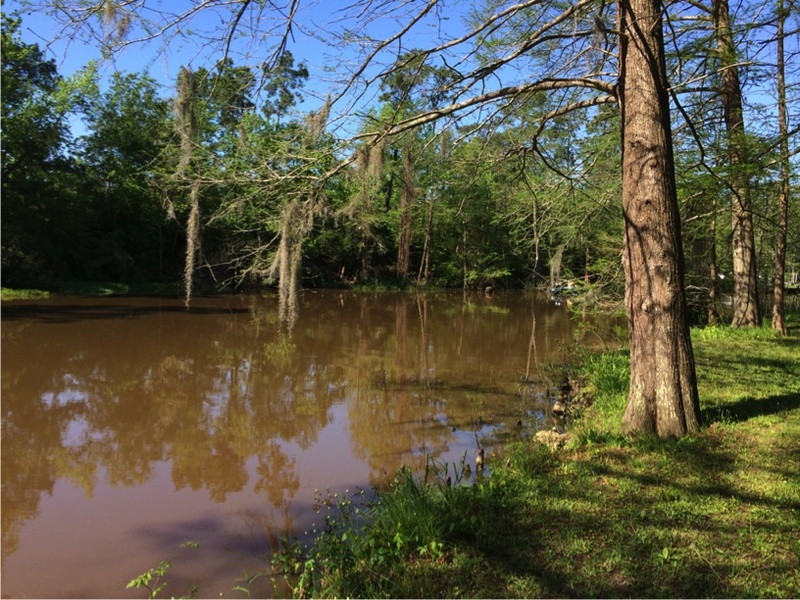 We then left High Island and moved our trailer north on TX-124 and IH-10 to Turtle Bayou RV Park & Campground, site #3 in Wallisville. 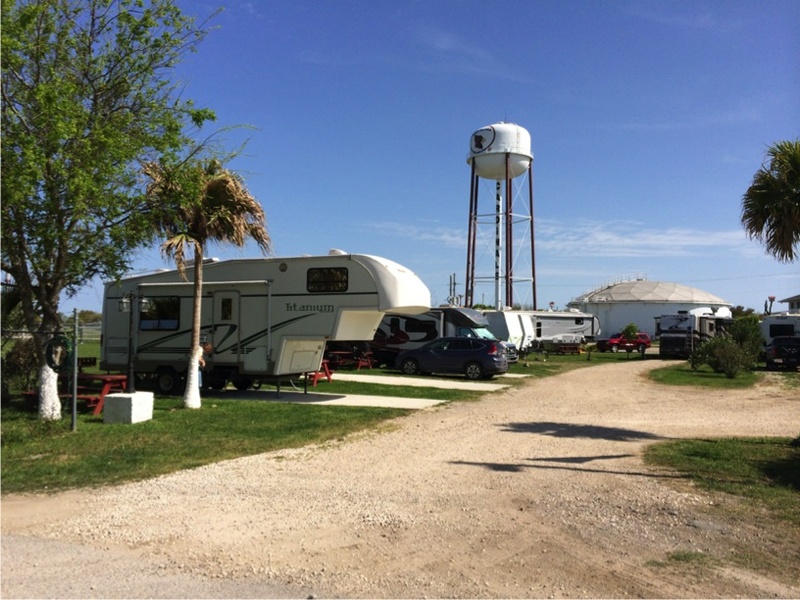 < Our RV site. < Turtle Bayou. 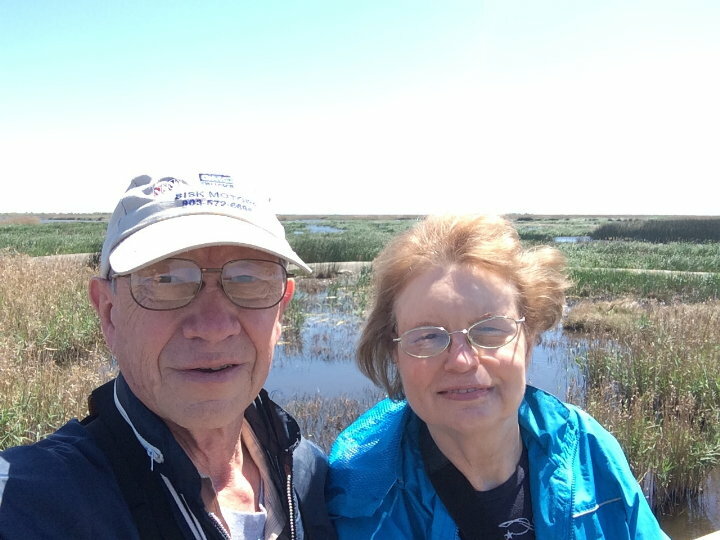 Our friends, Pat & Annette came from Katy and ate lunch with us in the trailer, then afterwards, we visited the Wallisville Heritage Park and walked out on the boardwalk to see the Egrets and Herons in the trees on an island out in the lake. Afterwards, in a rain storm, we drove down to the Wallisville Lake Project. This is a dam and set of locks that allow boats to navigate around the dam and up and down the Trinity River. 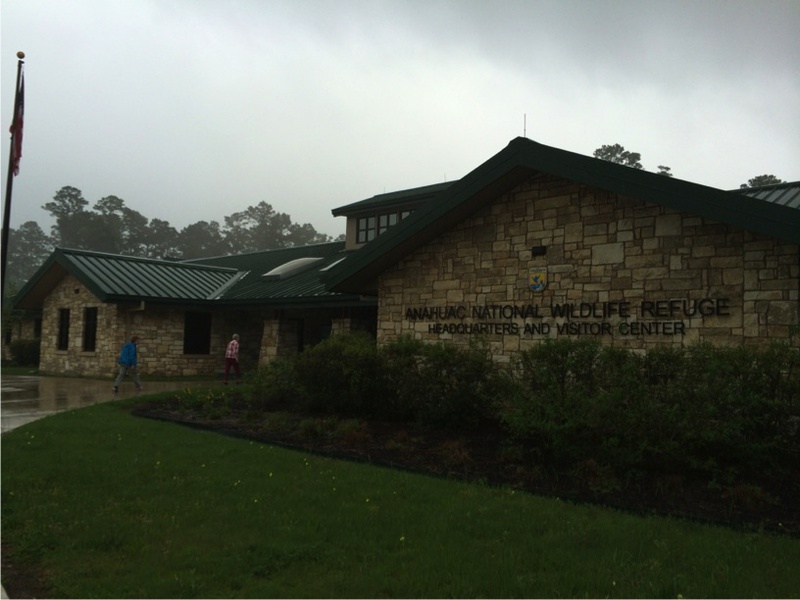 We then drove the short distance to the Anahuac National Wildlife Refuge Visitor Center and viewed a short video on the refuge, and toured their museum. 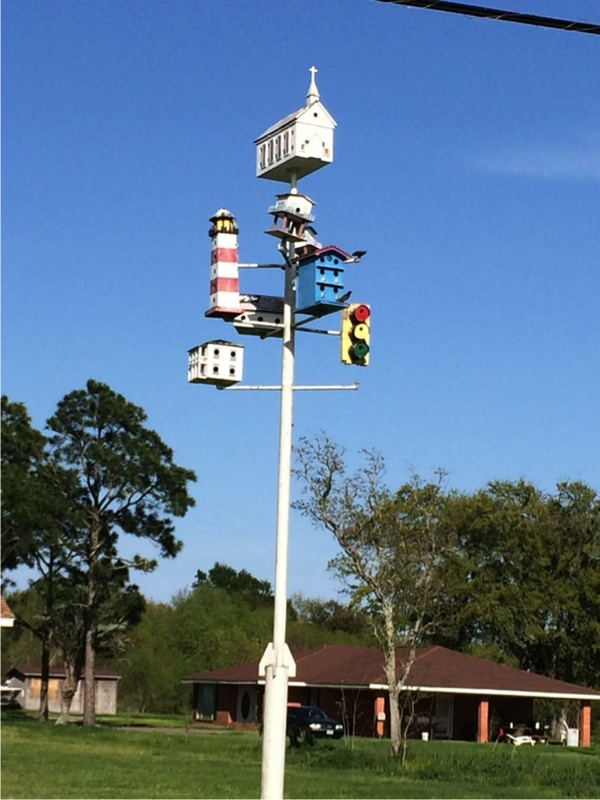 Afterwards we drove down to Fort Anahuac Park, then down to the Oak Island community. We returned back to Anahuac and ate dinner at a Mexican restaurant. Afterwards, we returned to the trailer and enjoyed coffee before Pat & Annette returned home. 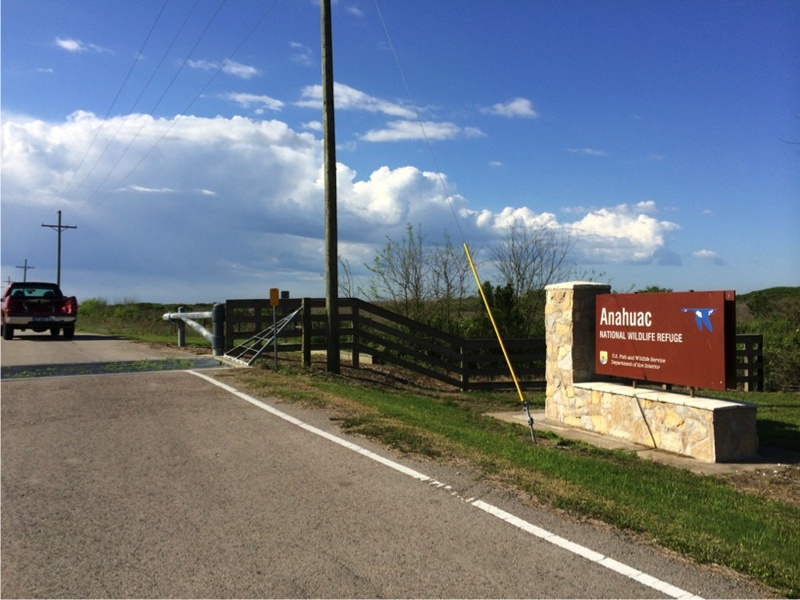 < Anahuac National Wildlife Refuge Visitor Center. < < Inhabitants of Heritage Park. [Monday] Kay works on Monday, so we drove into Houston after lunch for her 2:30 appointment. 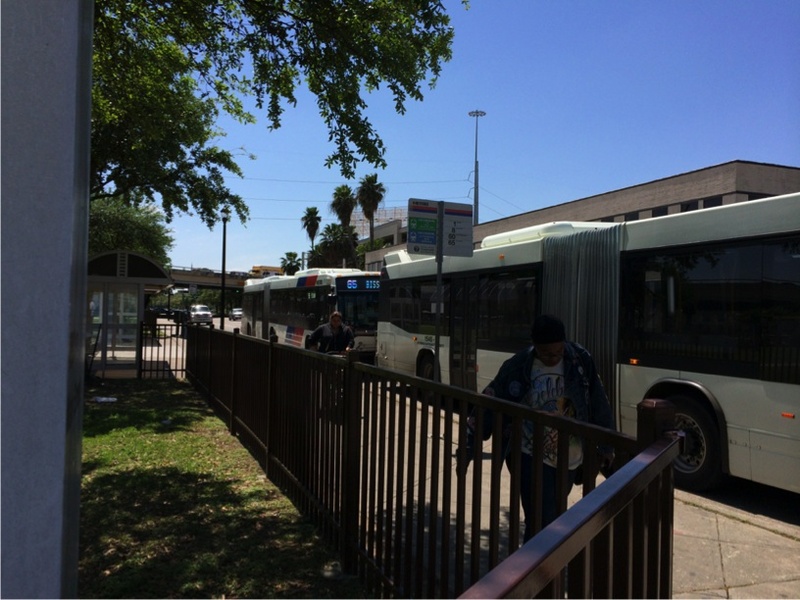 Lawson decided to use the time Kay was working (until 6:30 PM) to explore Houston via Metro bus and rail. He caught #65 bus from Kirby Dr. to the Wheeler Metro Station. 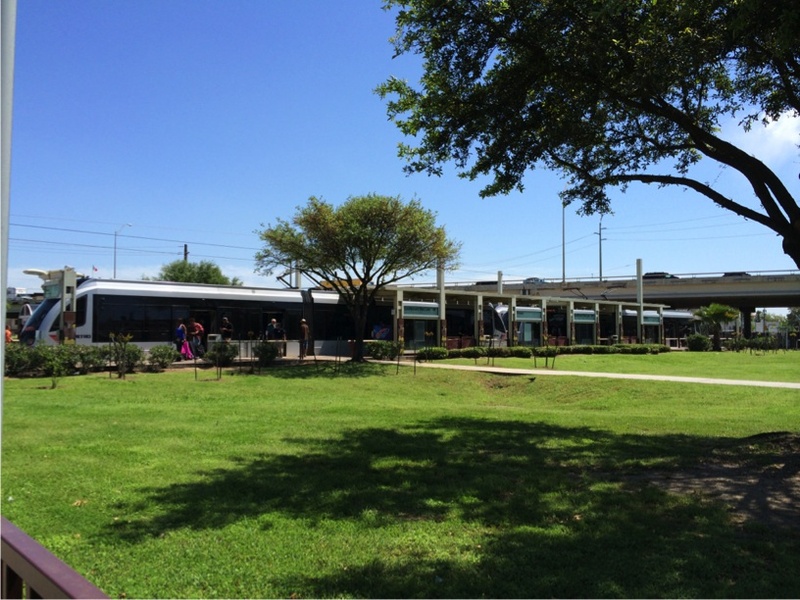 There he boarded the Northbound MetroRail and rode to the Northline Station - the end of the line. Then, after a walk around Northline Center, he boarded the Southbound train and rode to the Fannin South Station, then back to Wheeler and the #65 bus back to Kirby. It was a good trip and only a short wait for Kay to finish, then a stop at Subway for dinner, then back to Wallisville. 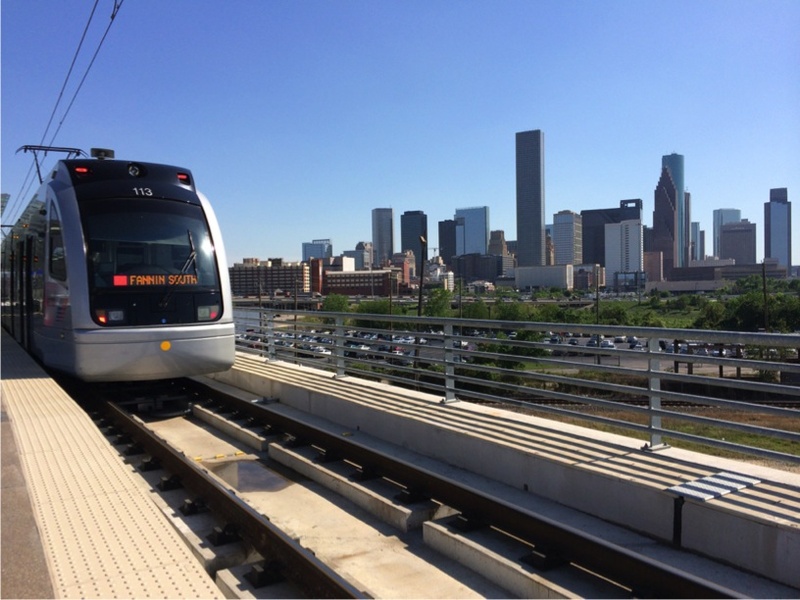 < < < Houston Metro. 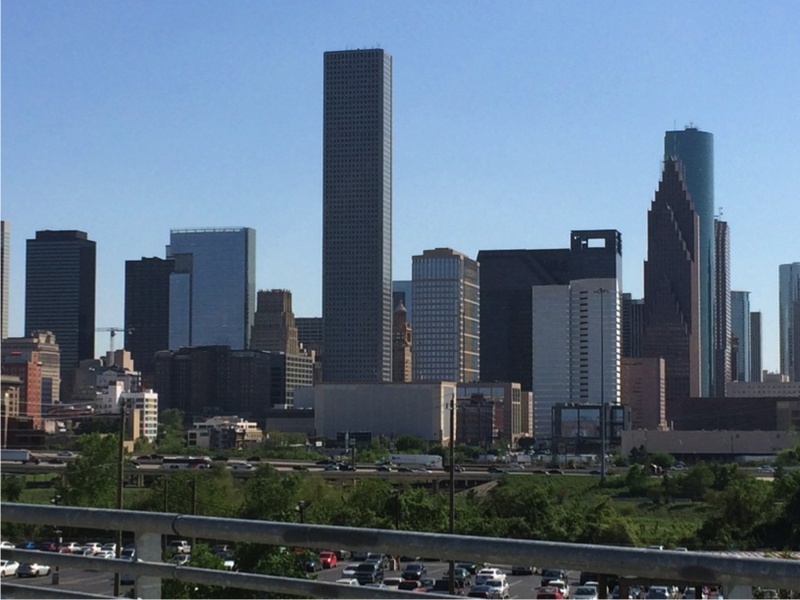 < View of Downtown Houston. 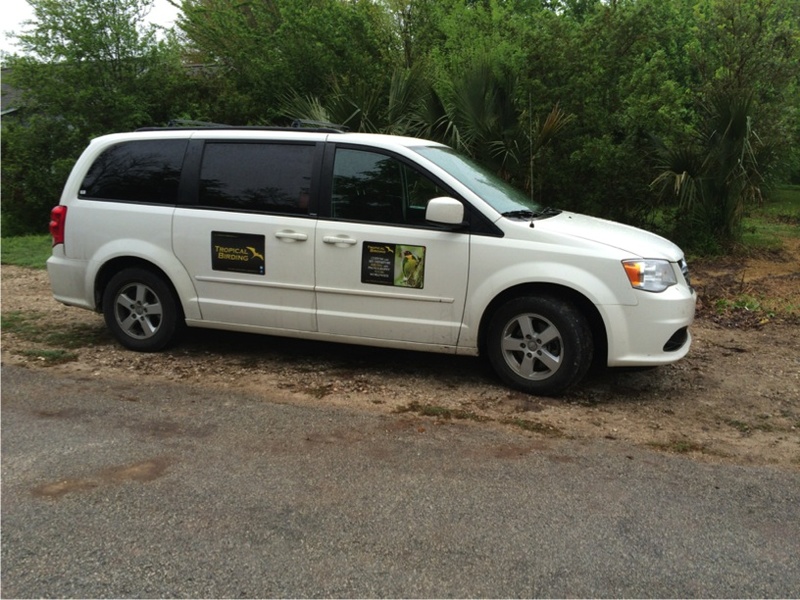 [Tuesday] After breakfast, we packed a picnic lunch and drove down to Anahuac National Wildlife Refuge. We drove the road around the Shoveler Pond. The wind was blowing strong out of the North at 30 mph and gusts to 40 mph. 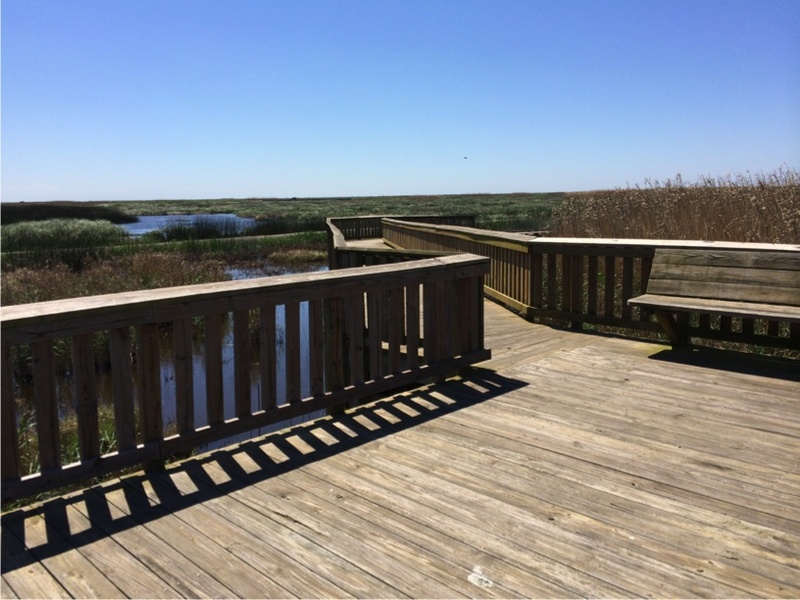 We did all our birding from the truck, except for one walk on the boardwalk. Fortunately, there are lots of birds next to the road. We spent a large part of the day there. 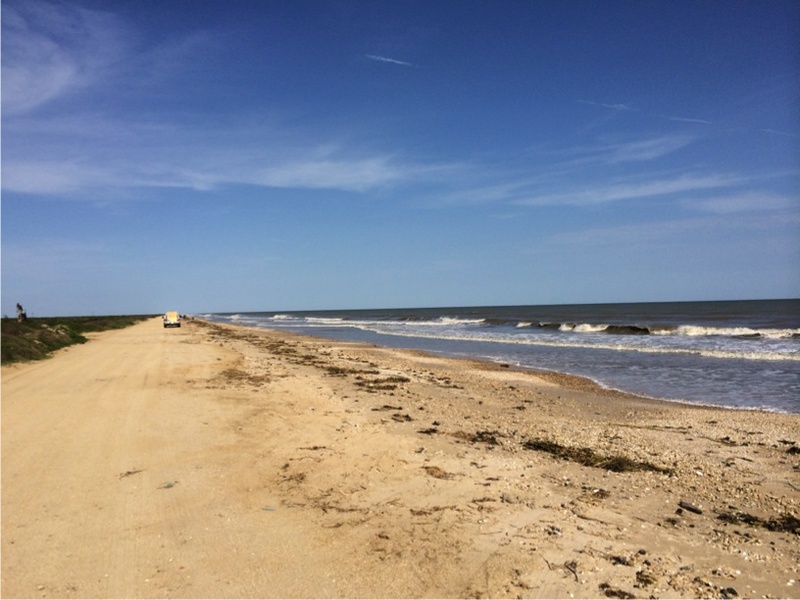 After we left, we drove down to Smith Point to see how they were doing a few years after Hurricane Ike. They were still there and seem to be recovering. 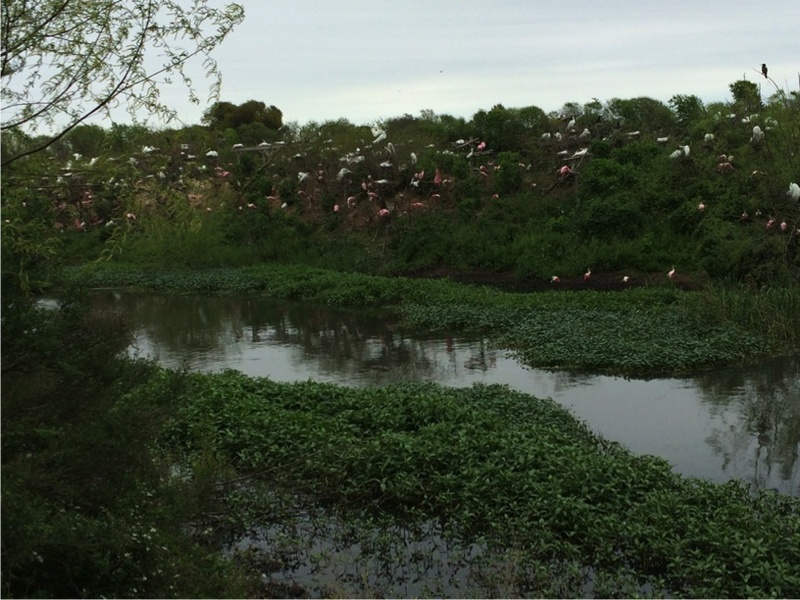 < < < Anahuac National Wildlife Refuge. [Wednesday]After breakfast, we pulled up stakes from Wallisville and started back home. We stopped in the edge of Houston at a Fiesta grocery store to purchase a few items. We decided to buy lunch from their store and ate in the trailer. Then we drove back home and arrived in Richmond shortly after noon. This draws to a close our brief vacation to High Island and Wallisville. We hope you enjoyed the photos and brief descriptions of our activities. God willing, join us again soon for another RV adventure.